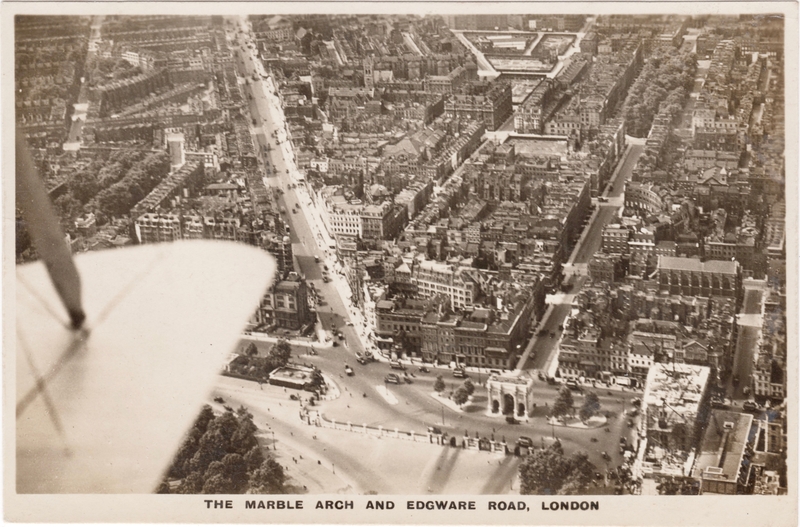 This vintage aerial view of Edgware Road and Marble Arch was published as a postcard by Aircraft Manufacturing Co (Airco) sometime between 1918-1920. But the image is older. Peter Berthoud, who obtained the postcard, did some detective work and concludes that the photograph was taken circa 1913. Take a closer look at the picture and zoom in here as you read on. “There is an irregular shaped block of cleared land to the west of Seymour Place and bounded to the north by Crawford Street, west by Shouldham Street and south by Harrowby Street with Bryanston Place running east/west through the block. On part of this land were built Crawford Mansions, Crawford Street, these were completed in 1915. So I think the image dates from between 1912 and 1914. To the south and east of Seymour Place another area is shown cleared for development. This block on the corner of George Street and Seymour Place with Clenston Mews to the south was developed as Bryanston Court in the 1920s. The Church to the east of Edgware Road is St Luke’s in Nutford Place, which was badly damaged in WWII and demolished. 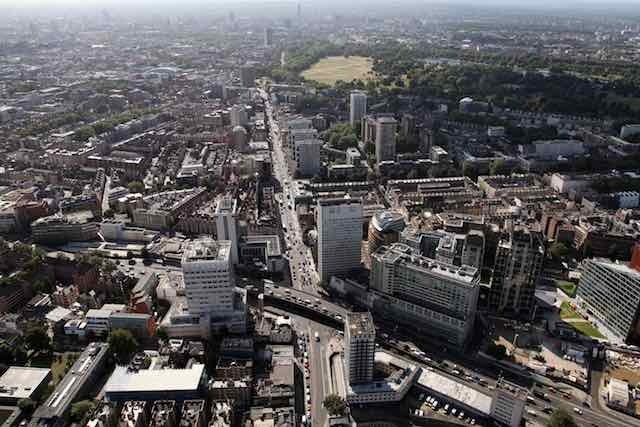 The block of buildings just to the north-east of the Arch would later be demolished to build the Great Cumberland Hotel. If this was taken in 1913 then it’s likely the photograph was taken from the Geoffrey De Havilland designed and built Biplane No. 2, a single seater! No wonder the low wing got in the way of the shot. Imperial War Museums have a photo of Geoffrey De Havilland himself in the pilot’s seat of one of these early planes. Aerial photography became a military specialism of the First World War, used for dangerous reconnaissance missions by two-seater biplanes. 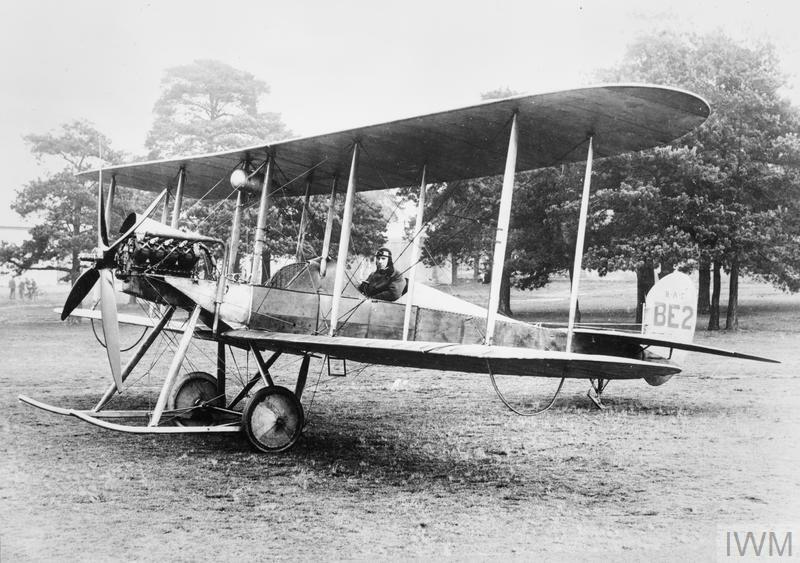 After the war, in 1919, a commercial business, Aerofilms would be set up at the London Aerodrome in Hendon where Airco (later De Havilland) was based and go on to considerable success. The Aerofilms archive was acquired by English Heritage in the 1980s and you can browse it online here.